We are focused on making a 'wow' experience for our clients. 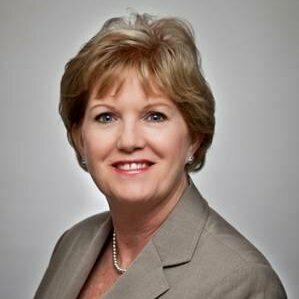 TechGenies LLC, a leader in custom enterprise software solutions, is pleased to announce the addition of Debra Gann as Partner and VP of Sales and Marketing. Debra works within the Americas Business Unit, leading tactical sales and marketing efforts to drive incremental revenue growth. Debra has a rich background in business development and most recently co-founded the successful consulting firm, Gann Partners, LLC. As CEO of Gann Partners, Debra consults with small and medium-sized businesses while overseeing the direction and management of all operational procedures. Debra comes to TechGenies with vast experience in business consulting. Prior to founding Gann Partners, she was Managing Director of Resource Technical Consulting, where she advised clients in areas including professional recruiting, customer training, managed services and e-learning solutions. After graduating from Texas Tech University, Debra began her career with human resources consulting firm, Consulting Partners, where she soon became Managing Director. Her responsibilities included reestablishing the Dallas/Fort Worth regional office, developing new business and hiring additional team members. She subsequently held positions as VP, Business Development at Smith Frank & Partners and VP, Business Development at Luminary Productions. "We are focused on making a 'wow' experience for our clients - including ease of working with TechGenies, a relationship of trust, and delivery of impressive work. TechGenies' approach is a true partnership for our clients and delivers on our promise of -- Your Wishes Exceeded - every time," says Debra. Debra also serves with Big Brothers & Big Sisters and is a member of the Fellowship of Professional Women, the Texas Tech University Alumni Association and TechTitans, the largest technology trade association in Texas. For more information about TechGenies, please contact Debra at dgann(at)techgenies(dot)com or 972-914-9311, or visit the TechGenies website at http://www.techgenies.com/. Headquartered in Texas, TechGenies is a global software development company with years of experience in delivering cutting edge, custom solutions to a wide range of verticals and industries. We operate software factories in locations that ensure access to great programming and technology talent at extremely competitive costs. Collectively, our Genies have over 400 man-years of experience in Enterprise Software Development and have been developing world-class software solutions for more than 10 years. Our model of operation is simple. We provide our clients with an “off-site” development team that can either augment their current staff or be the main development team for the client. The programmers are dedicated to the client and always operate as if the client directly employed them.